We are getting closer and closer to release, so the changes are getting more difficult to find, but there are still notable changes to talk about. In this beta, we saw new splash screens added to the Stocks app. Apple often adds these splash screens with major new updates to indoctrinate new users to the changes that were made in that particular app. They've been added in waves throughout the betas, but as we get closer to the actual release, more have been added. Other changes include new wallpapers in the Home app and a new AirPlay icon on the lock screen during playback to wireless headphones or speakers. 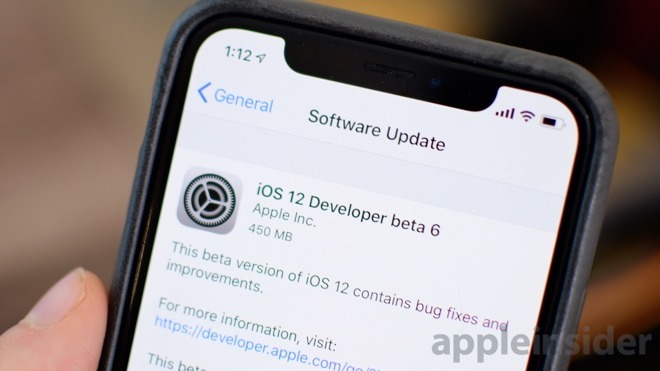 The sixth developer beta of iOS 12 was released alongside the latest betas of watchOS 5, macOS Mojave, and tvOS 12. Check out what changed last time around in beta 5.